Chi Onwurah, MP for Newcastle Central, depicted on a £50 note as part of the WORTH exhibition. What do Annie Lennox, Khadiya Saye and Newcastle Central MP, Chi Onwurah all have in common? Lennox is a musician, philanthropist and political activist. Saye was a talented photographer, who exhibited her series of photographs in the Diaspora Pavilion at the Venice Biennale in 2017. Shortly afterwards, she died in the Grenfell Tower fire alongside her mother. As well as being Newcastle’s first black MP, Onwurah is an engineer, equality campaigner and shadow minister for Industrial Strategy, Science and Innovation. Along with 10 other remarkable women, each of them has been chosen as a subject for a series of paper-cut portraits, made from the unexpected (and rather expensive) medium of genuine Bank of England issue £50 notes, in an impressive installation on display at the Praxis Gallery in Newcastle. 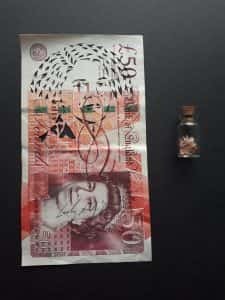 The exhibition, entitled WORTH, is North East artist and activist Lady Kitt’s latest solo work, a direct response to Caroline Criado-Perez’s campaign for more women to appear on Bank of England notes – and to the horrific online abuse and vitriol (including death threats) she received as a result. Kitt showed her first piece, a portrait of Malala Yousefi (which has since sold) at the Nasty Women North East exhibition last year. The idea began to grow and soon became a series of 13 portraits depicting women – some well known, others not so – who Kitt felt needed celebrating, for a myriad of different reasons. Each intricately detailed paper-cut is made up of tiny love heart shapes hand-cut into the banknotes. Somehow Kitt manages to capture not only a remarkable resemblance of these women, but the very essence of who they are. Other subjects include: eight-year-old author and environmental activist, Lilia Jackson; director of Tate Modern Gallery in London, Francis Morris; the founding member of Nasty Women North East, Martine D’ellard; founder of Pregnant then Screwed, Joeli Brearley; British art historian, curator and founder of the ‘Not 30%’ campaign, Kate Bryan; drag queen and disabled performer Venus di Milo and Caroline Criado-Perez herself. Newcastle campaigner, Fran Di Giorgo – much of whose work is around income inequality – requested her portrait be created on a £5 note instead and the remaining £45 donated to Housing Union, Acorn. While the works are a product of Kitt’s talent and creativity, the project as a whole is a collaborative effort. Financed through a crowdfunder, it has been supported and made possible by generous donations from members of the public. Of the crowd who excitedly admired the works on opening night, many of them had invested in the project both emotionally and financially. It was important for Kitt to reach out to the community when choosing her portrait subjects too. Over the last year she has asked people to nominate worthy women through social media, receiving so many – all of whom deserved celebrating – that in the end she had to choose those who were put forward several times. But, while the focus of WORTH is women, Kitt is insistent that it is an inclusive celebration of all people and their achievements, regardless of gender, race, sexuality or background. This was certainly reflected at the launch night, where she encouraged the audience to nominate an amazing person (or persons) in their own life. “Often in campaigning you have to say a lot of really unpleasant things that people don’t really want to hear,” Kitt explained. “I think that is vital, but I also think it’s important to campaign in a joyful and celebratory way as well, so I hope that from this people go away feeling really fired up to celebrate people in their own lives. WORTH makes a powerful statement: simultaneously highlighting the areas in which women are still underrepresented and discriminated against and celebrating those who work in these fields and campaign for equality. Looking the viewer in the eye from their thrones, just above the Queen’s head, the portraits are a visual illustration of the inequality deeply embedded in society. They are a reminder of how imbalanced the world is, not least in how both monetary and societal value is determined. What makes anyone worthy of a place on a Bank of England note? How do we place a value on an individual? Is this influenced by colour, gender, sexuality or socioeconomic background? And perhaps the most necessary question: what are women worth? 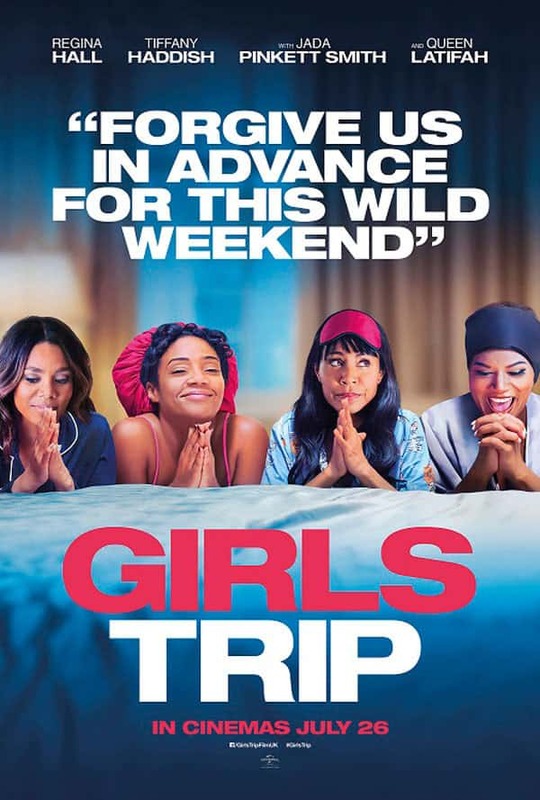 These are not questions which Kitt purports to answer, she just puts them to the viewers and leaves them pondering WORTH long after they’ve left, hopefully inspiring them to celebrate the women in their own lives. Kitt continued: “I want people to go away from this exhibition – or any interactions with the project – feeling very joyful and positive and celebratory. “I want more stories to be told – not just about women, about non-binary people, people of colour, people with disabilities – there are so many stories that aren’t told and that aren’t celebrated.